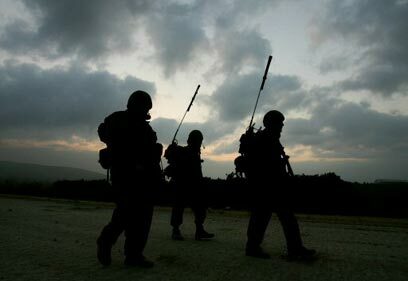 If it were up to me, Israel would not have gone to war in Lebanon last summer, Vice Premier Shimon Peres said during his testimony before the Winograd Commission. "In general, war is a very difficult thing and one can't control all situations. There are very difficult surprises. A war is a competition of making mistakes, with the biggest mistake being the war itself. "It's very easy to be an advisor, while it's very difficult to make decisions, and this was the way I acted. I regretted the cabinet being so big and the leaks from the cabinet, some of which I though were very dangerous. If it were up to me, I would not have started this war," Peres told the commission. He added that he was not satisfied with the decision making before the war was launched. "I would not have come up with a list of goals for the war, because setting goals complicates things. If you say, for example, that the first goal is to release captives, you are in fact leaving yourself to the mercy of the enemy. Afterwards I also thought that the IDF was not prepared for this war," he said. On Thursday, the committee probing the political and military echelons' conduct during the Second Lebanon War began publishing the protocols of the testimonies which will be mentioned in its interim report next month. Peres, former Intelligence Chief Major-General Amos Malka and Emergency Economic Division Chief Arnon Ben-Ami were the first officials whose testimonies were published following a High Court order. Peres was asked during his testimony about the recent war, as well as about two incidents which took place after the year 2000: Israel's withdrawal from Lebanon and the kidnapping of three IDF soldiers by Hizbullah. "I believe that a government minister must be very loyal," Peres told the committee members. "I systematically refrained from criticism, both direct and indirect. I thought it was my duty to refrain from expressing criticism. Asked what made him think that the IDF was not prepared for war, Peres said that "the IDF and any other army are built to fight another army. War on terror is similar to war on crime – you kill one criminal after another, but it's difficult to kill the crime. "The next day another suicide bomber shows up, and it's even more difficult when there are a number of bombers. We also know that Lebanon is an uncontrolled land, filled with mines and organizations, and murder is a daily thing there." The vice premier added that the war must not divide Israelis. "We must maintain unity, the uniting of the people and the unity of the government. I believe it is my duty to support the leaders, to strengthen them and to be very careful in my criticism, and particularly not to come out with it. "Therefore, on a personal note, I am glad that I don’t have to tell anyone 'I told you so.' I don’t think we were defeated in the war, but I think there was a very big psychological defeat, and the reason is that Hizbullah has a talented spokesman, Nasrallah, while here everyone constantly attacked each other." "There was a feeling that Israel is not what it always was – not glowing, not surprising, now creative. We can't say that this is a war that failed, but was also can't say that this is a war that succeeded," the minister told the committee members. "In any case, the battle continues. It appears that HIzbullah has moved to internal issues; they want an Iranian Lebanon," he said. Major-General (res.) Malka, who served as head of military intelligence in the years 1998 to 2000, told the committee about the withdrawal from Lebanon and the procedures that preceded it. "(Former Prime Minister) Ehud Barak's thesis was that after the withdrawal we would remove all the other sides' bases of legitimacy to operate against us, we would receive a 'clean page' from the entire world, including written statements by the UN institutions and the international community, thus creating a component of deterrence which would form a completely different reality on the Israel-Lebanon border," he said. Malka added that he warned of Hizbullah's possession of thousands of rockets and of the fact that after the withdrawal from Lebanon the organization would be able to bring them closer to the border. Like Peres, Malka also believed that Nasrallah's PR work was remarkable. "I think that Nasrallaha's speech in Bint Jbeil – the famous cobwebs speech – was the one which caused the Arab world to see Israel withdrawal from Lebanon as an escape rather than an initiated act." Addressing the 2001 kidnapping, Malka added that he warned the Knesset's Foreign Affairs and Defense Committee and military officials, but did not have any concrete information. Malka also criticized the National Security Council, which he said "does not really exist and essentially never existed. "I sat in cabinet meetings for four years, and there was not one discussion with the head of the council sitting around the table. There is no National Security Council; I wish there were." Earlier Thursday, the High Court of Justice ruled that the Winograd Commission testimonies of Prime Minister Ehud Olmert, Defense Minister Amir Peretz and former IDF Chief of Staff Dan Halutz must be made public before Passover and the release of the interim report. Additionally, the judges criticized the commission for not yet having published any of the testimonies although the decision to do so was made six weeks ago. This conduct, they said, was verging on contempt of court. Justice Ayala Procaccia said that out of respect for the commission, she and her colleagues had not issued a formal court order at the time, but they had issued clear instructions to the commission. The timetable presented by the Winograd Commission for the testimonies' publication must now be seen as a binding document, the judges ruled. See all talkbacks "I wouldn’t have gone to war, Peres tells Winograd Commission "